High paying local truck driving jobs are every trucker's dream. This is why it is so hard to find a local high paying truck driving job, especially with good benefits AND favorable hours. Local trucking jobs are out there. Unfortunately, most will require a driver to have 1year or more of experience. The best local or any high paying trucking job for that matter, will want a good solid work history and clean driving record. Many of these local trucking jobs pay hourly. They often start early in the morning and end when the job is done. Sometimes there is flexibility in the start time and the earlier you start the earlier you get done. Some will start at a specific time and end at a specific time. These are the hardest to find. Some will not pay more than your average over the road job. You do however get to see the house more often and you don't have over the road expenses. This too can be a bit misleading though. Some local trucking jobs start in the wee hours of the morning and end at night when the family is headed to the bed. A lot of route trucking jobs will follow this schedule. Example would be the beer or soda delivery truck that stocks stores. 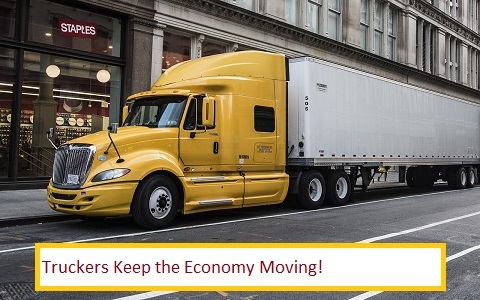 #1 Tip to land a high paying trucking job is stable work history with one company. The better the job, the more solid your past need to be. Post position wanted flyers up in local area barbershops, laundry, Bojangles, Sheetz, etc. Visit Local Chamber of Commerce and Inquire of Local Trucking Companies. Talk to your barber and have them scout for you. Visit your local truck stops and diesel mechanics and ask if they know of any local driving positions and ask if you can post a flyer in case someone comes in needing a driver. If you find a high paying local trucking job someone probably retired or a new company is on the block. To get these trucking jobs you will most likely need 1 or more years of experience. Having said that, you never know how lucky you will be until you actually make an attempt at finding your dream trucking job. The most likely a high paying local truck driving job would be a manufacturer with their own big trucks. Some trucking companies that specialize in ltl freight or intrastate hauling could have high paying local trucking jobs too. Try your luck here at finding a high paying local trucking job. Chances are in your local trucking job search you didn't find the high paying local truck driving job you were looking for. If you did find it you might not have qualified for it if your are a new driver or about to become a new driver. As you get your experience for that first year, always keep your eyes and ear open. Start your Local trucking job search early so that when you get your year in you have a list of companies to contact. In the meantime, make sure you keep your driving record clean and your job performance favorable. 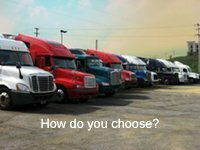 The best trucking companies which would have a good local dedicated trucking job or high paying trucking job will be far more selective than the average trucking company. Talk to shippers, receivers, and other truck drivers about driving opportunities. Networking is another key factor in landing that high paying local trucking job or any dream job actually. The saying it's not what you know but who you know did not come about by accident. It's very real. If you have a suggestion for truckers resources list it here. Truckers resources could be any product, goods, or services that might be a benefit to drivers or soon to be driver. We reserve the right to deny listing of discretionary content. Be advised that people can comment on your posting. Got a pic? Post it.